If you are a true, die-hard gamer you know what it means to have the best gaming station setup. 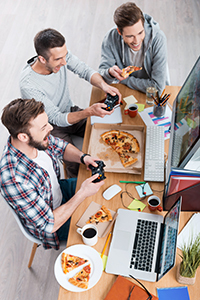 The layout of your custom desk will depend on whether your gaming system is a console like Xbox and Playstation or a computer. 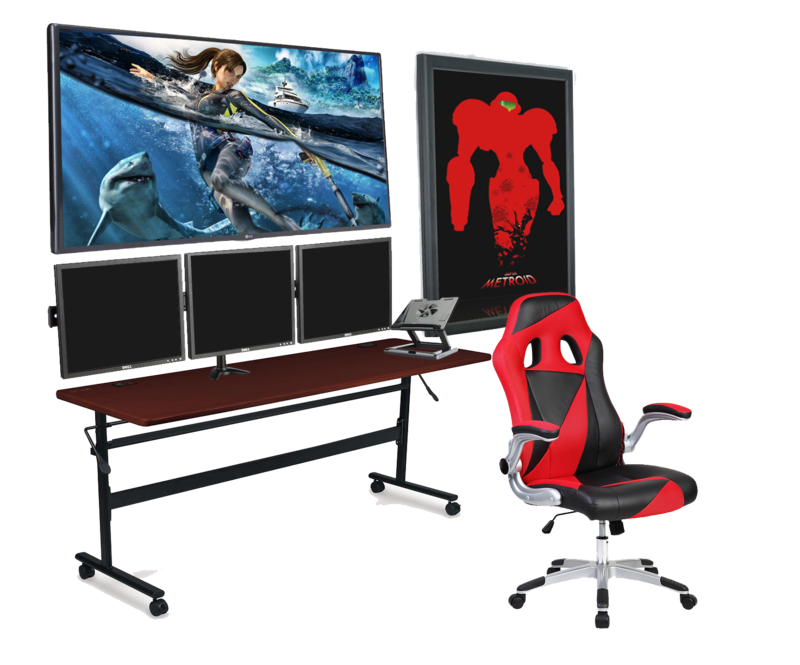 In this article, we'll go over the different types of video gaming stations, attachments, and extras for your gaming room - all designed to help you create the ultimate gaming desk! Let’s start with your desktop! You will need a strong table or desk to hold the weight of your all video games system, monitors, sound system, game racks, and all their accessories. You'll also want find a desk that has a decent amount of depth because your monitors (if table mounted) will take up some space. The perfect example is our training table that has a depth of 2’ and can hold up to 300 pounds. A great way to save desktop space is to mount your monitor onto the wall or use a multiple monitor mount. If you are interested, make sure to check out these multi-monitor & ceiling hanging mounts. One of the most important parts of building your own gaming desk is your digital display. No matter the size, you want to make sure you have a display with at least a 1080p resolution. This is to make sure you will have the best gaming experience possible. Our digital displays are now LCD/IPS with a resolution of 1080p pushing a 60Hz refresh rate. 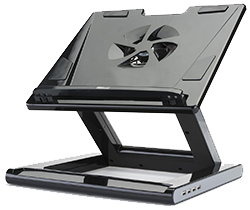 If you are a professional gamer and use a laptop to update your streaming videos and channels, a laptop stand might be a great addition to your gaming desk. One notebook desk stand option is an ergonomic mount that inclines up to 9.5” high. This stand includes USB ports for charging and a fan to keep your computer from overheating. Another option is a dual monitor mount that can hold a tablet or laptop as well as a monitor. The monitors are height adjustable and have the capability to articulate, tilt, pan, and rotate. They also feature built-in cord management, so keeping those pesky wires under control is simple. 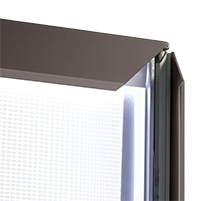 One thing that wouldn’t sit on your gaming desk, but would look great in the same room is an LED poster box. Using a translucent poster, your favorite Destiny, Zelda, or Call of Duty print will look amazing in a backlit frame. The LED bulbs use minimum voltage but give a brighter light for a more enhanced presentation than outdated T5 or halogen bulbs. Installing or replacing a poster takes seconds with the snap frame technology. Simply unfold each of the four frame sides, insert the poster, click the sides back in, and you’re done! If you want to design your own posters, our graphics department can print them for you in full cover. It is as simple as using our provided templates and sending it in. As you can see, you don’t have to go out and spend a $1,000 on a brand new gaming setup or desk. Save your cash and create a customized gaming table exactly how you want it. Now build your own gaming workstation and send us images through Facebook or Twitter.